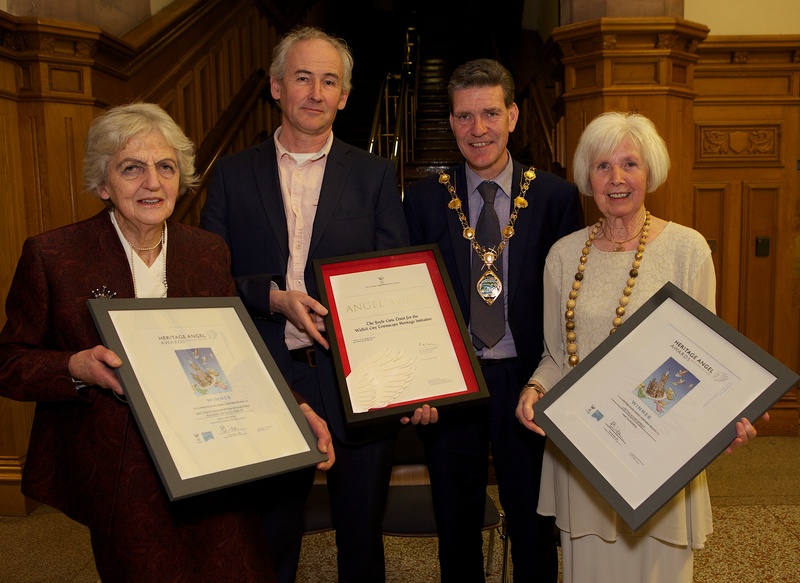 Mayor of Derry City and Strabane District Council, Councillor John Boyle recently hosted a civic reception for the Foyle Civic Trust in recognition of their success in winning the overall UK 2018 Heritage Angel Award. 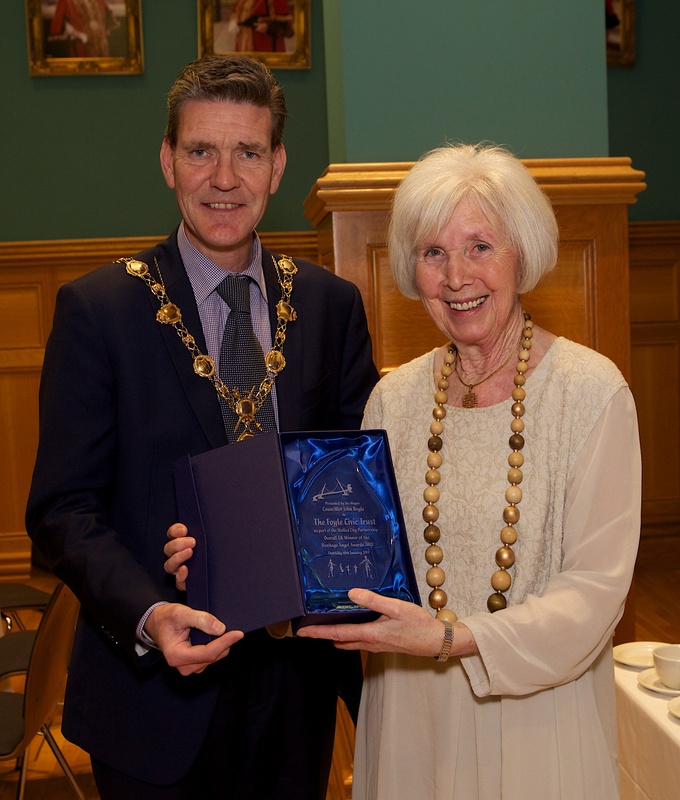 Mayor Boyle said he was proud to host the winners and congratulated them on their success. 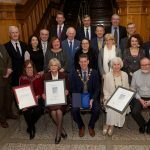 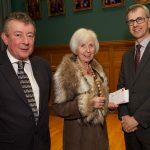 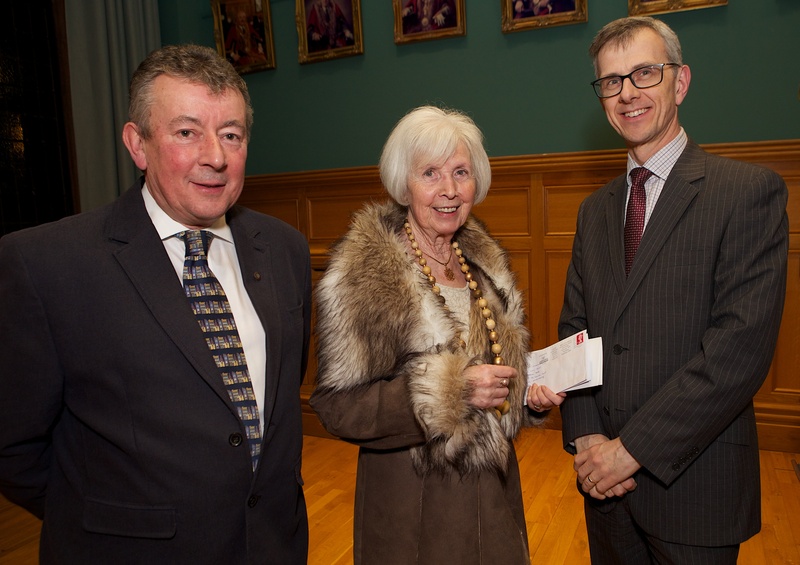 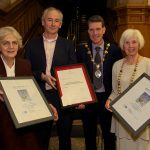 “It was a genuine honour for me to host the Foyle Civic Trust and the other partners who make up the Walled City Partnership in recognition of the Townscape Heritage Initiative’s success at both regional and UK wide level. 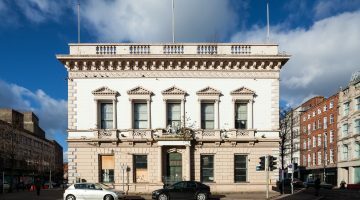 “The scheme has carried out significant work to repair, restore and regenerate the properties in and around our historic city centre and preserve it for future generations. 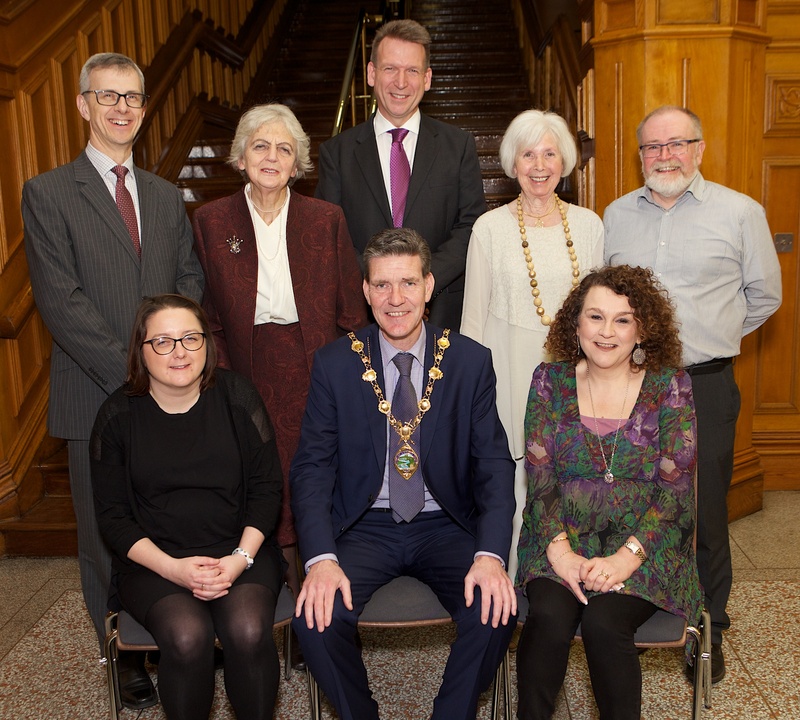 “The upgrade works are enjoyed and appreciated on daily basis by residents and visitors alike and we are proud to provide financial and other support in the delivery of the programme. 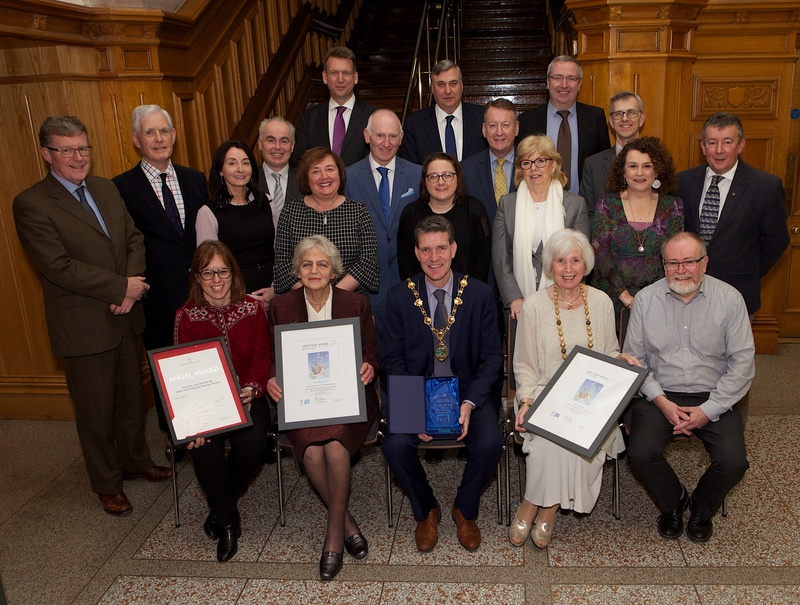 Nicola McVeigh, Chief Executive, Ulster Architectural Heritage, joined Mayor O’Boyle in congratulating Foyle Civic Trust and added, “The project faced stiff competition from local and national finalists to be awarded this accolade, which is testimony to the passion and dedication of all involved. 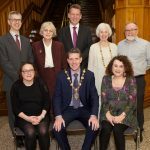 The transformative impact of this project draws attention to the extremely positive effect of commercial entities, communities and councils coming together to firmly place heritage at the heart of regeneration of our towns and streets. 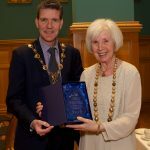 This is particularly poignant as we consider the future of our high streets, our towns and cities. 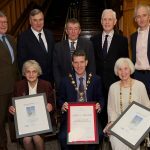 Ulster Architectural Heritage hopes that by way of highlighting Derry’s achievement, more recognise the importance of heritage in creating places most attractive for us to visit and enjoy. 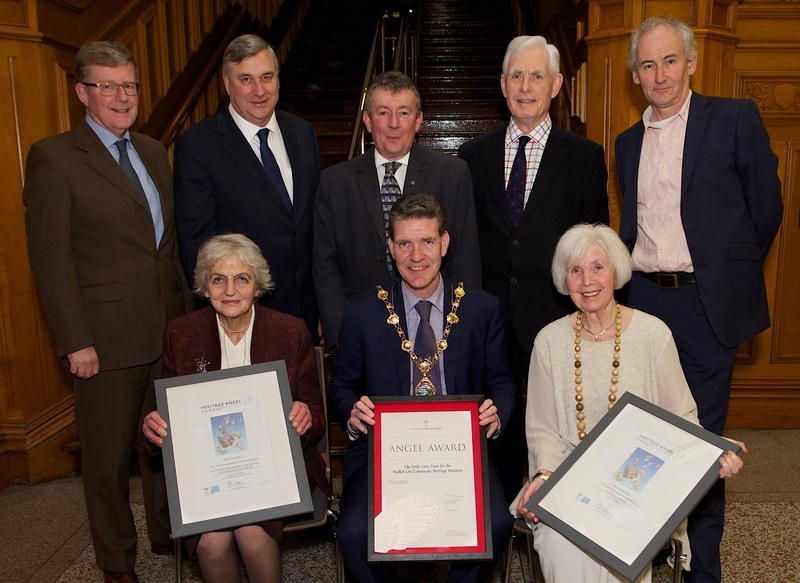 I am hopeful that through this the many other unrecognised heritage projects in Northern Ireland will be encouraged to participate in the next Heritage Angel Awards programme which commences in April 2019”.